Although I am a huge fan of WordPress as a Content Management System (CMS), I have a soft spot for another awesome open source CMS platform – Drupal. 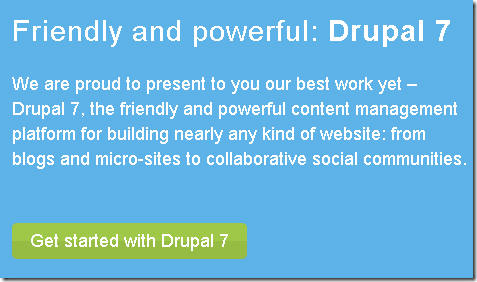 After being in development for months, Drupal 7.0 has been released to the public. Drupal 7 is a truly revolutionary release that saw both the size and diversity of our contributor community grow exponentially. 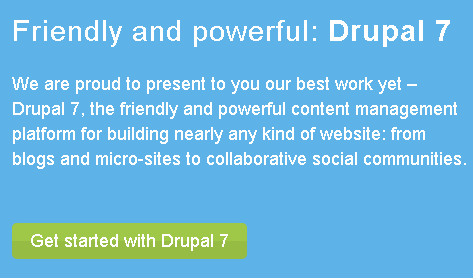 Through the formation of and strong coordination among the Usability, Accessibility, and Designteams, Drupal 7 addresses a number of our project’s longest-standing limitations and opens up access for more people to enjoy the strong web publishing framework we have all come to love. I like to say thanks for such informative post. it’s just ultraman games great, drupal deserves that!